The findings of one of the biggest surveys of East Yorkshire hospital staff in recent years have been published today. 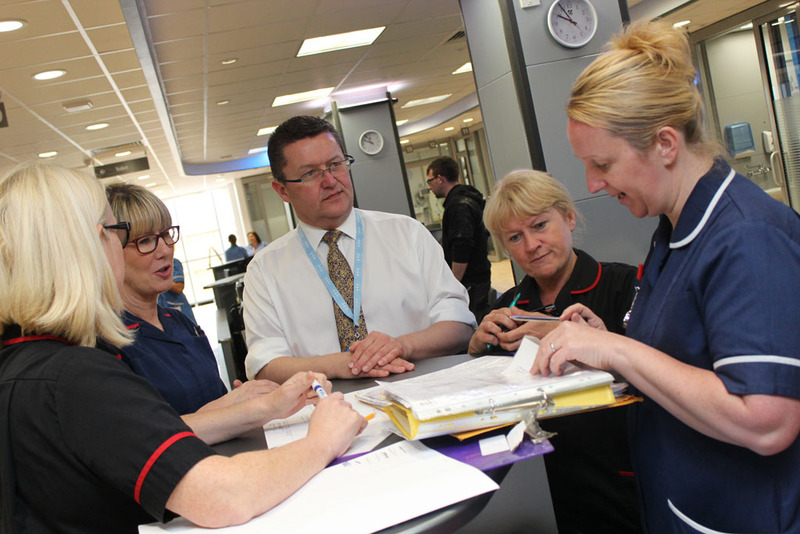 The results of the 2016 Staff Survey for Hull University Teaching Hospitals NHS Trust reinforce the message delivered by last month’s Care Quality Commission (CQC) inspection report, which painted an improving picture in terms of care quality and staff experience. Staff confidence in reporting unsafe clinical practice, the percentage feeling they have equal opportunities for career progression, and the number of staff having experienced discrimination at work in the last 12 months are now amongst the best in the country, whilst local improvement has also been seen in other key areas such as bullying and the number of staff saying they would recommend the Trust as a place to work and receive care. Over 3,500 members of staff completed the survey, representing 44% of the entire workforce and the highest response rate seen in the Trust in the past ten years. The findings have been published today alongside those of every other NHS organisation across the country by NHS England. “We have carried out a lot of work in the past two years to try and better understand our workforce, to improve the culture and staff experience, and generally make our Trust a better place to work. “It’s really encouraging, therefore, to see some of this reflected in our most recent Staff Survey results, and to be able see year-on-year improvement within the Trust in areas which have previously been an issue for us, such as bullying and incident reporting. Even the response rate of 44% in itself suggests staff are more engaged, willing to speak up, and willing to work with us to make things better. Within the survey, there are 32 key finding areas, such as job satisfaction and team working; support from managers; and reduction in sickness absence due to stress. Each key finding area is made up from a cluster of related questions. Trust performance in the above has shifted significantly when compared against the national averages for each of those findings. The Trust now ranks amongst the top 20% of Trusts in the country for 13 areas, as opposed to just six last year, and has fewer areas ranked within the bottom 20% of Trusts. “In a similar way to when our CQC report was published, there is much to celebrate here because the findings do present an improving picture of staff satisfaction and engagement at our local hospitals overall. The Trust has already formed a Staff Survey working group to consider the findings of the survey and an ambitious action plan for further improvement will be presented to the Trust Board in April.